Litvakus is a unique klezmer collective that takes modern stage by storm through the traditional folk Belarusian and Litvak (Belarusian Jewish) music, as well as the contemporary pieces written in the spirit of the roots music by the band leader, clarinetist and composer Zisl Slepovitch. The program Raysn: The Music of Jewish Belarus reveals the unknown face of Jewish and klezmer and Yiddish music. It tells a powerful story about the land where the Jews and the Belarusians had coexisted together for over 700 years and created an inimitable culture, separately and together. Litvakus’ new album program Raysn features the rarely heard music from the two seriously endangered cultures, Yiddish/ Litvak and Belarusian. As far as klezmer music goes, the program sounds quite unexpected. It does take by surprise, but it also overpowers you by the warmth of the deeply rooted tradition. Bagpipe-like drones, drones on the fiddle and bass, shtetl disco feel, authentic and vibrant, come to life as this music had existed before being washed away by urbanization, Soviet and Nazi genocide, the decimation of the non-majority culture, emigration, assimilation, and a slew of other atrocities. Seven centuries of existence preserve this music its rightful place in the future, and Litvakus gives it a voice. 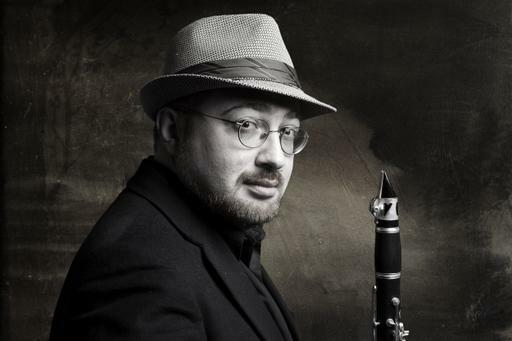 Dmitri ‘Zisl’ Slepovitch (clarinet, vocals) Is a clarinetist, pianist, composer, ethnomusicologist, a founding member and artistic director of the Litvakus and Minsker Kapelye bands. He has worked as musical consultant and music director in several shows by the National Yiddish Theatre – Folksbiene; performed and arranged music for various productions at The Folksbiene, Montclair State University, and Harvard Yiddish Players, as well as films, Defiance and The Burning Land; wrote original score for The Two Brothers ballet; taught at seminars in Jewish studies and Yiddish music worldwide, including BIMA at Brandeis University. 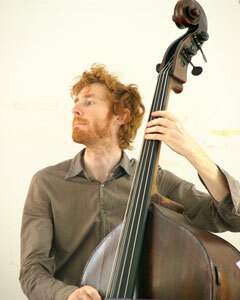 Taylor Bergren-Chrisman (contrabass) Taylor has been performing in New York City for the past eight years, becoming part of the Klezmer community of musicians and enthusiasts as well as playing jazz and classical music for theatre and dance productions. In the year 2000, he moved to Brooklyn where he joined the Eastern-European klezmer-punk band, Golem. Taylor plays for other groups representing traditional music of the U.S. as well as Latin America and Africa. 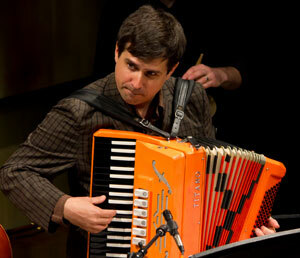 Joshua Camp (accordion)Founding member of the bands One Ring Zero and Chicha Libre, has composed and played in projects of various genres over the years, including: country, folk, Irish, klezmer, merengue, and experimental groups as well as composing music for film, dance, theater, and multi-media installations. As an accordionist, Joshua has been in the recent Broadway productions of ‘Fiddler on the Roof’, ‘Three Penny Opera’, and on the soundtrack to the Lincoln Center production of ‘The Coast of Utopia’ by Tom Stoppard. 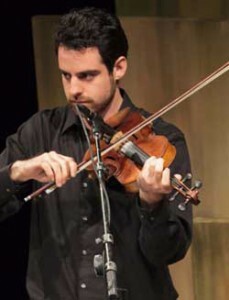 Craig Judelman (violin) Grew up in Seattle, where he began studying the violin at an early age. He augmented his classical studies with jazz and folk music of various sorts, all of which he studied at Bard College. Jewish music first caught his ear in the synagogue, but as he discovered Klezmer he was overcome by the music’s power both for prayer and performance. Craig has spent time traveling around the world studying folk music but now makes his home in Brooklyn, where he teaches violin/fiddle, composes music for theater and plays with his old-tIme string band, The Dust Busters. 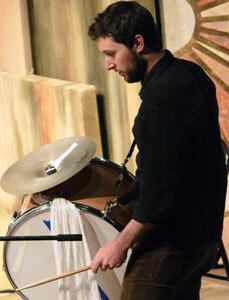 Sam Weisenberg (percussion) Sam has written, produced, sung, struck, slid, and plucked throughout North America. Based in Brooklyn, he’s currently playing with Secondhand Pinups, the Spontaneous Jewish Choir, and all sorts of freelance music. He is a managing partner of the Weisenberg Bros. Poik Company and a founding member of the Luftwaffle Jewish Music Collective.